The Scholarship Fund was established at the EEEurope Conference in Caramulo, Portugal, in 2002. 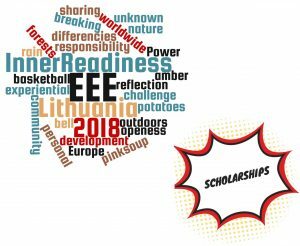 Its purpose is to encourage the participation of people living or working in Europe who are involved in experiential education but who cannot afford to attend the annual conference and who would benefit by taking part. Every year a small amount of the participants’ fee is used to create the scholarships fund. Are you interested? The whole process is based on trust. The Fund is financed out of the conference fee paid by other participants. The Fund can award scholarships of up to 80% of the main conference fee. Applicants should be willing and able ‘to share and contribute’ in English. Applicants are asked to contribute by offering a workshop. Alternative ways of contributing are listed below. Applicants should apply by email following the guidelines below. Applications will be read by a committee made up by people who have taken part in previous EEEurope conferences. Decisions are usually made within two weeks. Where did you hear about the EEE annual conference? Please describe your experience in ‘experiential education’. Why are you applying for scholarship? Please describe your economic circumstances. What would be the benefit for you in attending the conference? What are your plans for the future in this field? Application deadline is March 15th, 2018, but you are encouraged to apply as soon as possible in order to benefit from low cost travel as well as the chance of scholarship. Your application will be read and commented upon by the committee members (scholarship committee) within 2 weeks of your application. If necessary, you will be approached for extra information. For any questions or doubts contact us.